Republican Rep. Adam Kinzinger blasts Planned Parenthood on TV during shooting. 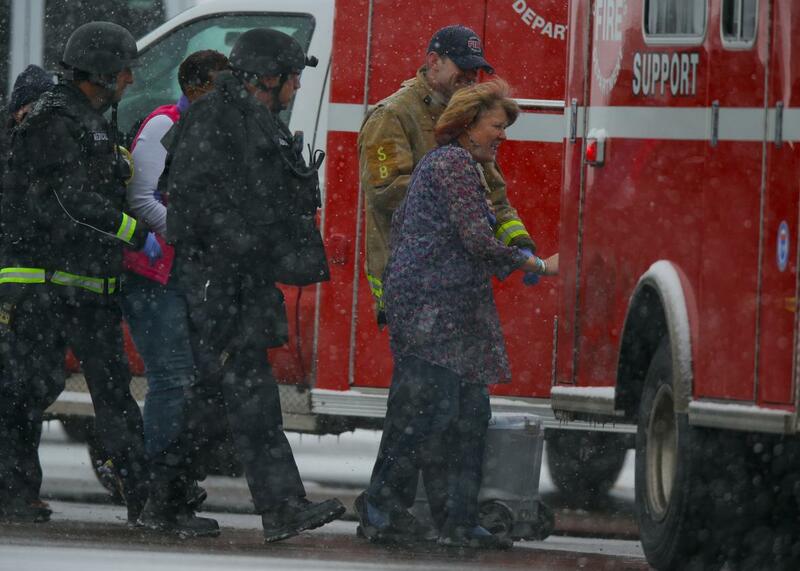 Hostages are escorted to an ambulance during an active shooter situation outside a Planned Parenthood facility on November 27, 2015 in Colorado Springs, Colorado. While police officers were still engaging with the shooter at the Planned Parenthood in Colorado Springs on Friday, one Republican lawmaker apparently thought the best thing to do was criticize the organization during an interview on CNN. “We saw these barbaric videos, and that was something that many of us have a legitimate concern about,” Rep. Adam Kinzinger said. He was, of course, referring to the widely discredited videos that claim to show Planned Parenthood executives profiting from harvesting fetal tissue. Kinzinger also criticized Planned Parenthood for issuing a statement on the incident that broadly criticized “extremists” and “a poisonous environment that feeds domestic terrorism.” The Illinois lawmaker said the statement was irresponsible. Many were quick to blast not only Kinzinger but also CNN for inviting a known Planned Parenthood critic while police were still trying to apprehend the gunman.